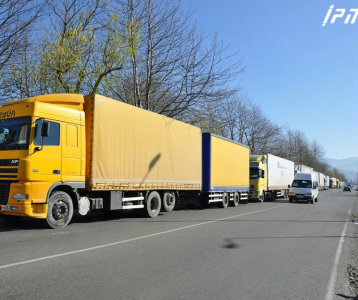 TBILISI, DFWatch–Georgia’s foreign trade turnover in the first ten months of 2014 was USD 9.4 billion; 10 percent more than the same period in 2013. According to the latest monthly report by Georgia’s National Statistics Department, published on Monday, export was USD 2.4 billion, which is five percent more than first ten months of 2013. Import in the measured period was USD 7.0 billion; 11 percent more than last year. The negative trade balance was USD 4.6 billion, which is 49 percent of the whole trade turnover. The trade turnover with EU countries in January through October was USD 2.5 billion, 7 percent more than last year. Export was USD 522 million – 14 percent more – while import was USD 1.9 billion (6 percent more than last year). The trade turnover with the Commonwealth of Independent States (CSI) was USD 2.9 billion, which is 0.5 percent less than last year. Export was USD 1.3 billion (2 percent less), while import was USD 1.7 billion (0.4 percent more). Top trade partner countries are Turkey – USD 1.6 billion (20 percent of the turnover), Azerbaijan USD 983 million (10 percent) and China USD 682 million (7 percent). Russia, Ukraine, Germany, Armenia, US, Bulgaria and Japan are on top of the list of trade partner countries. The most exported type of product is used cars, which accounts for 19 percent of all the export. Next on the list is ferroalloys with 10 percent and copper ores and concentrates 9 percent. The most imported type of product is oil and oil products with 11 percent, cars 9 percent and petroleum gases and other gaseous hydrocarbons 4 percent.